As it turns out, though, the lobster's owner is unhappy with its viral fame. 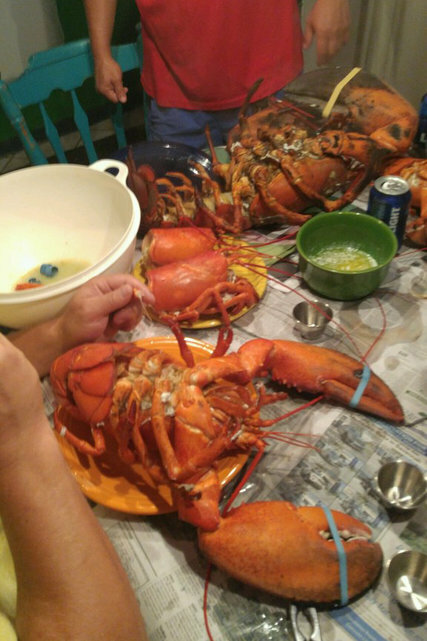 Georgia resident Christopher Stracuzza was flying the 20-pound crustacean, named "Dinnah," along with smaller lobsters home for an annual feast with friends. When Stracuzza arrived home, he realized that a photo of Dinnah had become an online hit -- when he was in a concealed container. 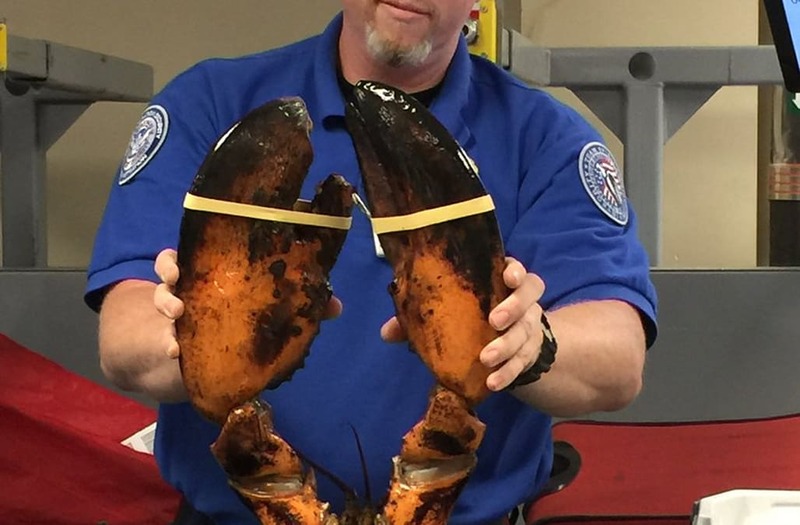 Stracuzza realized the officers probably picked up Dinnah out of the container for the photo and placed him back on top of the other lobsters. The cooler was wrapped up in TSA tape. "Just because it was labeled 'live lobster' doesn't mean there could be a bomb in there," Stracuzza told the New York Times. "They are dumb. They are like the dumbest people in the world." Stracuzza was angry they shared a photo of his property without permission. "I understand they have to go through some things to make sure everything is kosher, and everything is good to go. But to pull your luggage out and take a photo of it, and then post it online?" Stracuzza asked the Boston Globe. "If they are able to do this with just my lobster -- yes, it was a large lobster that I purchased -- who is to say they're not posting photos of all kinds of stuff?" Michael McCarthy, the TSA spokesman that shared the original photo, said that they do so to provide travel tips. "At no point does TSA reveal passenger-specific information," he continued. Dinnah, as it turns out, was too big to eat in one meal. "We were only able to get through the claw on him," Stracuzza told the Boston Globe. "But we will do lobster rolls and lobster mac and cheese."